This a last look for now at locomotives – about which I know little. 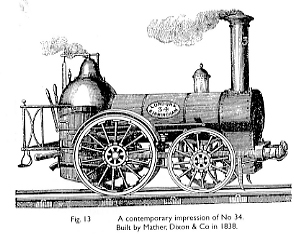 These two designs from the 1850s were built at Wolverton as goods engines which were presumably built for strength rather than speed. The longer boiler is now becoming characteristic of the new engines. 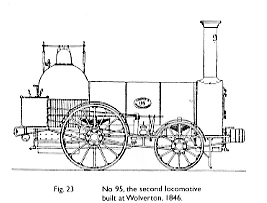 Wolverton’s initial purpose was the repair and maintenance of engines, but before too many years passed the workforce had acquired the skills and equipment to build new engines. The tradition of contracting out the building to other firms continued, even in McConnell’s time, but increasingly Wolverton took on new builds. 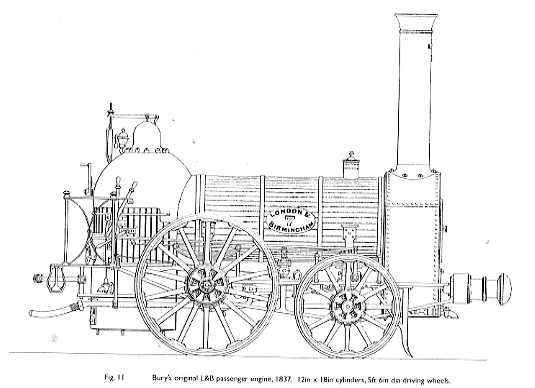 The first engine was numbered 92 (engines were numbered consecutively as they were put into service) and was built in 1845. Harry Jack suggest that spare parts may have been used in its construction. 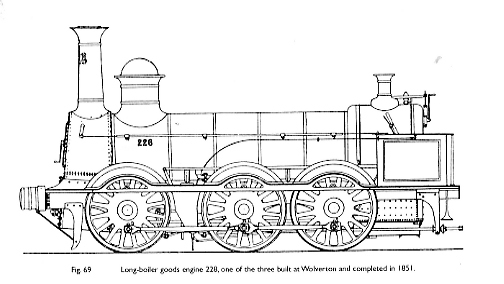 In the following year Number 95, the second Wolverton locomotive, was built. 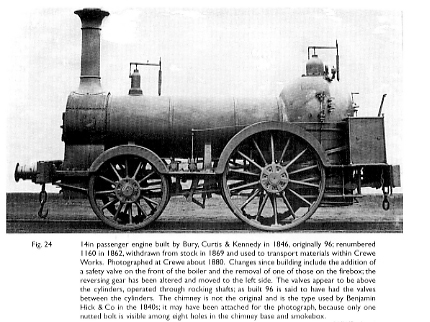 An the photograph below of a locomotive built at the same time offers another view. I am more of a social historian than railway historian, and I certainly don’tn have any engineering expertise, so I can’t offer any erudition on the subject. One excellent source, for those of you with an interest in this subject, is Harry Jack’s Locomotives of the LNWR Southern Division. Wolverton’s role in this period was huge. Details of the book and its availability can be found here. 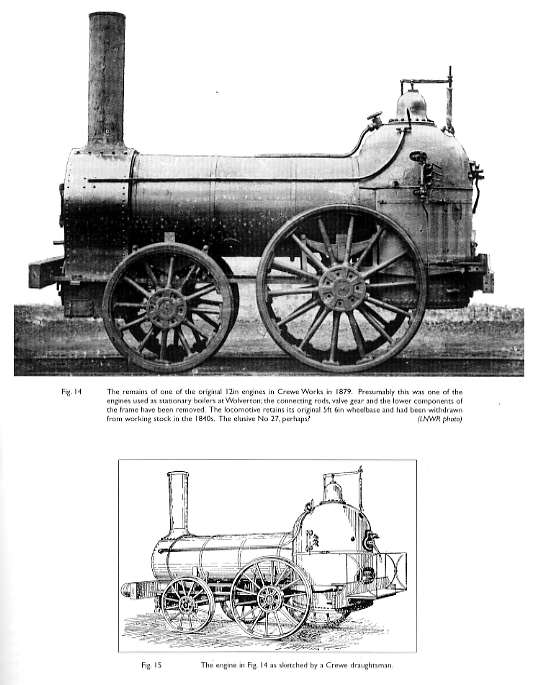 The pictures I present here of Bury’s first locomotive designs are taken from Harry Jack’s book.